Many of us love all things Italian, from Ferraris to olive oil – especially olive oil. And the olive oil industry and media spur us on with articles asserting that olive oil nutrition is tops, and that olive oil is a "good" fat. This article on olive oil nutrition takes a close look at olive oil and separates the science-based truth from the hype. The problem, though, is that many journalists do not fully dissect the scientific studies they’re reporting on. Press releases aren’t questioned. Facts get distorted. Qualifiers disappear. Headlines turn sensational. And so does the truth. 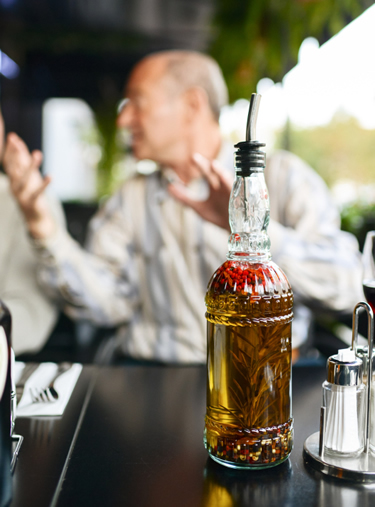 In this article, we’ll respond to the hype about olive oil nutrition to help you better understand what’s true about this so–called “healthy” fat – and what’s not. Hype: Olive oil will protect you from a heart attack. Truth: Olive oil is not heart–healthy. Yes, foods rich in monounsaturated fats like olive oil may be better than foods full of saturated and trans fats, but just because something is “better” does not mean it is good for you. As monkeys do, humans often do. Scientists have long known that monkeys eating diets high in fat and cholesterol develop atherosclerosis just as people do. 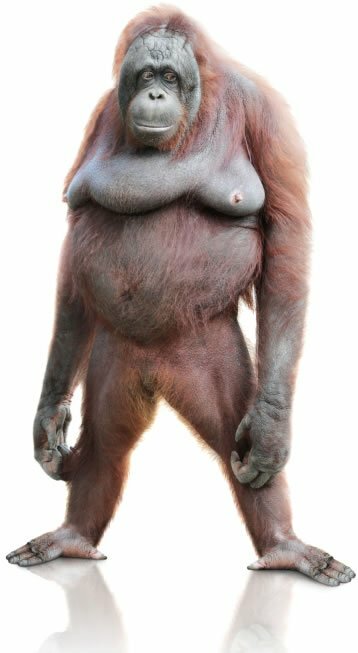 What’s more, the blood lipids (blood cholesterol levels) of monkeys respond to different types of fats in much the same way that researchers have observed in people. So this monkey study (1) comparing the impact of different types of fat on blood lipids and atherosclerosis made some troubling observations if you’re a fan of olive oil and other sources of supposedly “good” monounsaturated fats. Now, if you had looked only at the blood lipids of the monkeys eating the monounsaturated-fat-rich diet in this study, you’d have thought they would have ended up with cleaner arteries than those that ate more saturated fat. Compared to monkeys fed the diet high in saturated fat, the monkeys fed the monounsaturated-fat-rich diet had lower LDL bad cholesterol levels and higher HDL good cholesterol levels (similar to what happens in studies with humans). And compared to monkeys fed a diet high in polyunsaturated fats, the monkeys fed the high-mono diet had HDLs that were nearly twice as high (again, just like humans). But it’s important to note that all three diets (like our typical human diet in the U.S.) were high in dietary cholesterol, and sure enough, all three groups of monkeys had LDL levels that were elevated. It’s not surprising, then, that on autopsy the researchers discovered atherosclerotic plaques in all three groups of monkeys. What is surprising is that the one group that had significantly less atherosclerosis than the other two was the group with the lowest levels, by far, of HDL good cholesterol. It was the polyunsaturated-fat-rich group. “Most likely, this group’s higher intake of essential polyunsaturated fatty acids provided some protection against the blood cholesterol-raising effect of their high dietary cholesterol intake,” notes Dr. Tom Rifai, MD, FACP, Founder/CEO, Reality Meets Science® LLC and member of the Pritikin Scientific Advisory Board. What is even more surprising is that the monounsaturated-fat-rich diet and saturated-fat-rich diet were equally damaging. “The monkeys fed monounsaturated fat developed equivalent amounts of coronary artery atherosclerosis as those fed saturated fat,” wrote Dr. Lawrence Rudel and colleagues at Bowman Gray School of Medicine at Wake Forest University in Winston–Salem, North Carolina. “The point here is, we’ve got to look beyond blood lipids. 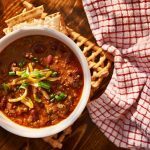 We’ve got to examine exactly what happens to our arteries,” asserts Kimberly Gomer, MS, RD, LDN, Director of Nutrition at the Pritikin Longevity Center in Miami, Florida. As this very important long-term study on monkeys demonstrates, “better” blood lipids do not necessarily lead to better arteries. Though the monkeys on the mono-fat-rich diet had lower LDLs and higher HDLs than the monkeys on the sat-fat-rich diet, they ended up with the same amount of damage to their arteries. Is olive oil better than butter? Yes, foods rich in monounsaturated fats like olive oil may be better than foods full of saturated and trans fats, but just because something is “better” does not mean it is good for you. And data from the Nurses Health Study, an on–going study from Harvard Medical School analyzing the habits and health of nearly 90,000 female nurses, found that those who consumed olive oil were only marginally healthier than those eating a typical high-in-saturated–fat American diet. 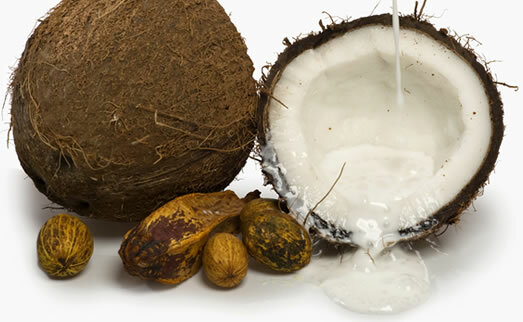 This supposedly “good” monounsaturated fat-rich meal, in effect, elevated blood fats and crippled the workings of the endothelium (the inside skin of the arteries), putting the squeeze on blood flow and reducing the arteries’ ability to deliver more blood to tissues. Research has shown that things that impair endothelial function in the short term usually contribute to clogged arteries in the long run. No problems with impaired endothelial function occurred with meals enriched in other parts of the Mediterranean diet, such as vegetables and fruits. So if you’re not eating fruits and veggies, you’re not getting protection. If you’re pouring olive oil on an already bad diet – one devoid of protectors and full of destroyers like cheeseburgers – you’ve only made that diet worse, points out Dr. Vogel. This research and other data indicate that olive oil is not heart protective, Dr. Robert Vogel told Pritikin Perspective. Dr. Vogel, a cardiologist who has studied heart disease for more than 30 years, counsels his patients to “feast on fish” and other rich sources of omega-3 fatty acids instead of olive oil, and to eat plenty of fruits, vegetables, and whole grains every day. Because of its extremely high calorie density, adding olive oil to any food or meal will dramatically increase its calorie density. Most fundamentally, olive oil, like all oils and fats, are a concentrated source of calories. With over 4,000 calories per pound, olive oil is far more calorie dense than even pure refined sugar, which has 1,725 calories per pound. Because of its extremely high calorie density, adding olive oil to any food or meal will dramatically increase its calorie density. That’s a big problem because several studies have shown that increasing the calorie density of the diet by increasing the fat content increases the total amount of calories people tend to consume at each meal before they get up from the table, feeling full. Therefore, consuming a lot of olive oil (or any other fat) can easily lead to weight gain and obesity, which leads us straight to poor heart health. That’s because weight gain increases insulin resistance in many people and leads to a variety of metabolic changes that promote heart disease, including higher levels of cholesterol and triglycerides, as well as higher levels of markers linked with chronic inflammation, like inflammatory cytokines. Bottom Line: Research has shown in both humans and other primates that diets high in fat and cholesterol promote atherosclerosis. By contrast, research in animals and humans, such as the Stanford Coronary Risk Intervention Project, have demonstrated that diets very low in total fat and cholesterol can not only prevent atherosclerosis but actually shrink plaque and reverse atherosclerosis. “Unfortunately for those who promote olive oil as a health food, there are no comparable studies showing that diets with a lot of monounsaturated fats, including olive oil, can prevent or reverse atherosclerosis,” sums up Gomer. Hype: Olive oil does not promote inflammation. Truth: All high–fat diets promote inflammation. Increased fat in the blood after fat-rich meals – including meals rich in olive oil – may also injure our arteries and promote heart disease because they increase inflammation. And meal after meal, year after year, of high-fat, calorie-dense foods promotes weight gain, which leads to adverse changes in blood lipids as well as increased levels of inflammatory substances in the blood. As evidence continues to mount affirming that inflammatory substances in the blood promote plaque growth, plaque rupture, and clot formation, all of which likely increase the risk of heart attacks, “we’ve got to start asking ourselves: ‘Is any fat, even so-called good fats, beneficial in terms of preventing heart attacks and strokes? '” says Kimberly Gomer, MS, RD, Director of Nutrition at the Pritikin Longevity Center. This research also demonstrated that the monounsaturated fatty acid oleic acid (olive oil is 78% oleic acid) resulted in a marked increase in LPS attached to chylomicrons in the bloodstream. Chylomicrons, also known as cholesterol remnants, are large, fat-rich lipoprotein particles that research has found contribute to the growth of cholesterol-filled plaques. (8) After a fatty meal, the blood is so full of chylomicrons that it turns milky, like a strawberry shake. Bottom Line: “More research is needed to better elucidate the mechanism by which dietary fat promotes inflammation and may increase the risk of cardiovascular events,” counsels Gomer. Hype: Olive oil is especially heart–healthy because it’s rich in polyphenols and plant sterols. Truth: All plant foods are rich in polyphenols and plant sterols, and most deliver far more polyphenols and plant sterols (with far fewer calories) than does olive oil. Polyphenols are antioxidant plant compounds that are linked with better heart health, including less oxidative stress. Oxidative stress is a process that inflames the arteries and heightens the risk of plaque rupture and heart attacks. Plant sterols are another plant chemical that interferes with cholesterol absorption from the gut and helps lower LDL cholesterol. But the problem is: If you’re relying on olive oil for your polyphenols and plant sterols, you’ve got to eat a lot more calories to get a decent amount of these phytochemicals, and eating lots of calories is just what Americans, with our epidemic rates of obesity, do not need. A mere tablespoon of olive oil delivers a hefty 120 calories for a mere 30mg of polyphenols/plant sterols. By contrast, just 11 calories of green leafy lettuce gets you about the same amount of polyphenols/plant sterols. This olive oil nutrition chart compares the nutrients in olive oil with the nutrients in green leafy lettuce. And so much more. 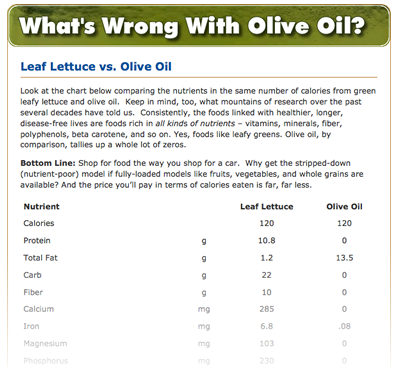 Click Here to open a chart comparing the nutrients in the same number of calories from green leafy lettuce and olive oil. Keep in mind, too, what mountains of research over the past several decades have told us. Consistently, the foods linked with healthier, longer, disease-free lives are foods rich in all kinds of nutrients – vitamins, minerals, fiber, polyphenols, beta carotene, and so on. Yes, foods like leafy greens. Olive oil, by comparison, tallies up a whole lot of zeros. Bottom Line: Shop for food the way you shop for a car. Why get the stripped–down (nutrient–poor) model if fully-loaded models like fruits, vegetables, and whole grains are available? And the price you’ll pay in terms of calories consumed is far, far less. Hype: Olive oil will lower your “bad” LDL cholesterol. Truth: Olive oil, in and of itself, does not lower LDL cholesterol. In just about every study purporting to show that people or animals lowered their LDL bad cholesterol levels after starting to use olive oil, the subjects used olive oil in place of other dietary fats, often saturated fats like butter, coconut oil, or lard. Well, of course LDL cholesterol is going to be lower when olive oil replaces butter. The total amount of saturated fat and/or cholesterol in the diet takes a tumble when butter is removed. But the fact is: If you replace the olive oil in your diet with beans (calorie for calorie), your olive oil-enriched diet would end up producing significantly higher LDL cholesterol levels than your bean-enriched diet. Does that mean olive oil raises LDL cholesterol? Well, yes, compared to beans, but it lowers LDL cholesterol compared to butter. The point is: It’s not the addition of olive oil to a diet that is lowering LDL cholesterol levels when it replaces butter, Crisco shortening, or coconut oil. Rather, it’s the subtraction of artery–clogging fats and LDL–cholesterol raising saturated fats, trans fats, and/or cholesterol. Unfortunately, though, what we usually hear in the media and see on olive oil bottles are only the words “heart healthy.” Gone are the FDA’s many qualifiers. Gone, in effect, is the truth. Hype: The Mediterranean diet is a heart–healthy diet, and it’s rich in olive oil, so olive oil must be heart-healthy and the key to a longer life. Truth: The people on earth with the longest life expectancy and the least heart disease do not eat diets rich in olive oil or any other fat. 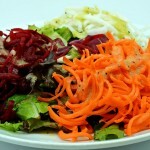 They do eat a diet rich in whole, natural foods like vegetables, fruits, whole grains, and beans. But much has changed on Crete – and throughout the Mediterranean – since then. Today, the people of Crete still eat a lot of olive oil, but their intake of whole, natural foods has gone way down, as has their physical activity. The island’s new staples are meat, cheese, TV, and the Internet. Today, more than 60% of Crete’s adult population – and an alarming 50% of its children – are overweight. And has maintaining an olive oil-rich diet saved them from disease? Not at all. In recent years, rates of heart disease, diabetes, and hypertension have skyrocketed. The point here is that olive oil is not the magic bullet that made populations along the Mediterranean in the 1950s so healthy. Olive oil was simply a bellweather, or marker, for other features of the Mediterranean diet, like plenty of fruits, vegetables, whole grains, and exercise, that actually did make Mediterranean populations healthier than those in the U.S. or Northern Europe, where more fatty animal products were consumed. That’s what more and more research is finding. For example, the large Greek EPIC study investigated which components of the Mediterranean diet were most beneficial and found that monounsaturated fats like olive oil were not stars. (11) Following 23,349 people for 8.5 years, the scientists demonstrated that only 11% of the benefit from a Mediterranean diet came from a high ratio of monounsaturated to saturated fats, and all of the monounsaturated fats were not olive oil. 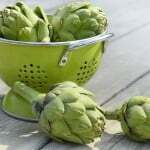 The biggest health benefits came from high vegetable intake, low meat intake, and moderate alcohol consumption. Similarly, in a study in the New England Journal of Medicine, scientists followed for years the diets and health of 22,043 adults in Greece. (12) Adherence to the traditional Mediterranean diet was assessed by a 10–point scale that incorporated the key facets of the diet, including an abundance of plant food (fruits, vegetables, whole-grain cereals, nuts, and legumes), olive oil as the main source of fat, and low–to–moderate amounts of fish and poultry. So don’t reward olive oil with the laurels, agreed Dr. Alice Lichtenstein, one of the nation’s top nutrition scientists, at the Human Nutrition Research Center on Aging at Tuft University in Boston. In several interviews about this study of Greek adults, she said, “If the main message that Americans get is to just increase their olive or canola oil consumption, that’s unfortunate because they will increase their caloric intake and they are already getting too many calories. Hype: Olive oil raises “good” HDL cholesterol. Truth: Many people with high HDLs have diseased arteries, and many with low HDLs have very clean arteries. One of the “hearty healthy” effects of olive oil, argues the olive oil industry, is that it raises levels of HDL good cholesterol. But higher HDL levels do not always mean better arteries. Remember the study on monkeys discussed at the beginning of this article? The higher HDL levels of the monkeys consuming a diet rich in monounsaturated fat did not prevent them from developing plaque–ridden, diseased arteries. Moreover, recent research (16) has called into question just how “good” HDL cholesterol is. Yes, it may have benefits, but scientists are now finding that there’s also a “bad” side to HDL that promotes inflammation and contributes to the build-up of plaque in the artery wall. This “bad” side of HDL may explain why several clinical trials aimed at increasing HDL levels failed to show benefits, such as fewer heart attacks. What’s more, the populations who enjoy the lowest incidences of heart disease in the world, the people living in Okinawa and in other rural regions of Japan, as well as the Tarahumara Indians in Mexico, have very low levels of HDL – in the 20s. Conversely, other people, like some Americans, have very high levels of HDL – and still have high rates of clogged arteries and heart attacks. Finally, always keep in mind that HDL is just one number in a risk group of many. Ultimately, we should focus on the big picture – on all the numbers that contribute to heart health. Here’s more food for thought: The most critical number for good cardiovascular health, more and more research is finding, is not LDL or HDL. There is growing consensus in the medical community that a better predictor of heart disease risk is non-HDL cholesterol. HDL cholesterol has long been considered “good” because it is largely responsible for picking up excess cholesterol from tissues, including the artery wall, and bringing it back to the liver for disposal. This process is known as reverse cholesterol transport. It’s easy to remember if you think of HDL as the garbage trucks that help rid the body of garbage (LDL). The media have made much of the fact that low-fat diets like Pritikin are problematic because science has shown that HDL levels drop in response to low-fat eating. But science has also found (and the media rarely point it out) that the HDL particles of people on a low-fat diet are working very, very efficiently. (17) There may not be as many garbage trucks, but those that are in force are functioning superbly well and clearing the LDL garbage out. By contrast, the drop in HDL cholesterol often seen when people gain weight is associated with more atherosclerotic plaque and heart disease. As we discussed earlier, an easy way to gain weight is to increase the calorie density of your diet by adding olive oil and other fats. What’s critical, then, is not the absolute amount of HDL cholesterol in your blood but how efficiently the HDL particles you have are removing excess cholesterol from your artery walls and trucking it back to your liver for disposal. “If you have a high HDL cholesterol level, but it is not functioning properly at reverse cholesterol transport because your diet is too high in fat, that high number may look good on your lab report, but your arteries may still be clogging up,” warns Gomer. Ultimately, we must ask: What happens to people after years and years? Who actually ends up with less heart disease? In every study, the rural Asians – yes, the people with the low HDL levels – win. Every time, the rural Asians beat out populations, like those of Crete, Greece, and Italy, with higher HDLs. 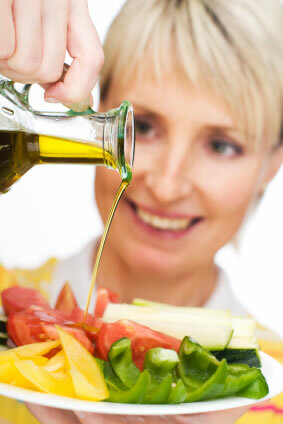 Hype: Certainly, monounsaturated fats like olive oil are healthier choices than saturated fats. Truth: Being “healthier” than saturated and hydrogenated fats does not mean that adding more of them to your diet makes you healthier. The human body has no essential need to consume oils rich in monounsaturated fat or saturated fat. The only fat our body has an essential need to consume are the polyunsaturated fats (both omega 6 and omega 3), and no more than 2 to 4% of our calories need come from these two polyunsaturated fatty acids. Interestingly, a few years ago the American Heart Association lowered the recommended intake of saturated fat to no more than 7% of total calories eaten each day. Olive oil is 14% saturated fat. (The average American consumes a diet with about 14% saturated fat.) So if you’re using a lot of olive oil on your food, it’d be hard to have a diet that’s less than 14% saturated fat, which means your arteries are being subjected to double the saturated-fat-limit that the AHA recommends. Oils are the most calorie–dense foods on earth. Ounce for ounce, oil packs even more calories than butter or bacon. A diet with hefty amounts of oil invariably produces hefty amounts of body fat, which leads to all sorts of devastating diseases, including America’s #1 killer: heart disease. Try, especially if you are overweight, to limit your intake of monounsaturated or polyunsaturated oils to 1 teaspoon per 1,000 calories daily. Spray rather than pour oil; you’ll likely use much less. Use oil, not as a key ingredient, but as a condiment or seasoning that will enhance the flavors and your appreciation of healthy, natural foods like leafy greens and other vegetables. And steer clear of all oils loaded with saturated and/or trans fatty acids, such as coconut oil, palm oil, and palm kernel oil. Arteriosclerosis, Thrombosis, and Vascular Biology, 1995; 15: 2101. Current Opinion in Lipidology, 2003; 14 (1): 41. British J of Nutr, 2004; 91 (6); 1013. J Am Coll Card, 2000; 36: 1455. J Am Coll Card, 2006; 48: 1666. J Am Coll Nutr, 2007; 26: 163. J Lipid Res, 2009; 50: 90. Current Vascular Pharmacology, 2011; 9 (3): 281. Am J Clin Nutr, 2007; 86: 1286. J Am Coll Card, 2013; 61 (4): 427. British Med J, 2009; 338: 2337. New Engl J Med, 2003; 348: 2599. New Engl J Med, 2003; 348-2595. Makoto Suzuki, Bradley Wilcox, and Craig Wilcox. The Okinawa Program. Three Rivers Press: 2002. Dan Buettner. The Blue Zones, Second Edition: 9 Lessons for Living Longer From the People Who’ve Lived the Longest. National Geographic: 2012. Nature Medicine, 2014; 20: 193. J Clin Invest, 1990; 85: 144. Pre-Diabetes Treatment: What Works Best?